Suppliers will still deal directly with Bob Socia and his GM purchasing team. Socia retains his post as vice president, global purchasing and supply chain. DETROIT -- General Motors Co.'s management shake-up today won't have an immediate impact on the automaker's suppliers. But the organizational changes could pave the way for closer cooperation between purchasing and product development. Suppliers will still deal directly with Bob Socia and his purchasing team. Socia retains his post as vice president, global purchasing and supply chain. Socia previously reported to then-CEO Fritz Henderson. But now Socia will report to Tom Stephens, vice president of global product operations, who oversees GM's worldwide product development. The organization change combines product development and purchasing -- two areas that GM used to keep in separate silos. It remains to be seen, of course, whether the organizational change will result in operational changes, such as allowing GM to involve suppliers earlier in its product-development efforts. GM has espoused that goal for years, but with limited success in achieving it. “GM has been trying very hard for the past two years to get engineering and purchasing to work more closely to better utilize their suppliers,” says analyst John Henke, president of Planning Perspectives Inc. of suburban Detroit. Stephens, he says, will be in a position to resolve issues between engineering and purchasing without the matter having to go to GM's highest level for a decision. 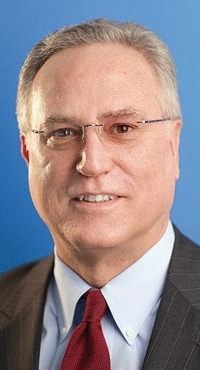 Before being named to his current position, Stephens had served as GM executive vice president of global powertrain and global quality. He began his ascent at GM as an engine-development engineer. Among other programs, he guided the development of the Northstar V-8, direct-injection gasoline engines, various hybrid powertrains and, in partnership with Isuzu Motors Ltd., the Duramax diesel engine.